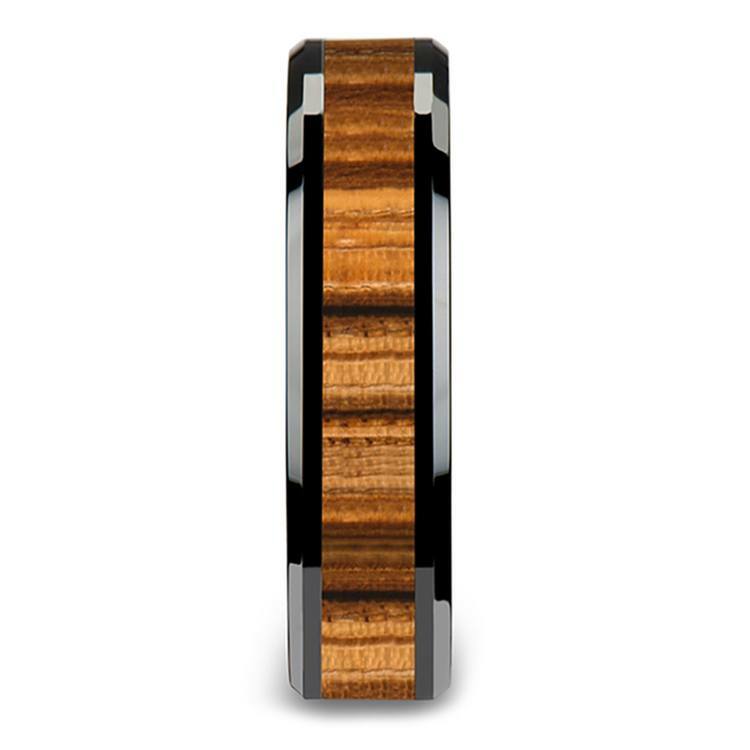 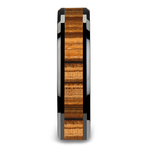 This black ceramic men's band is 6 millimeters wide and boasts an inlay of reworked zebra wood and beveled edges. 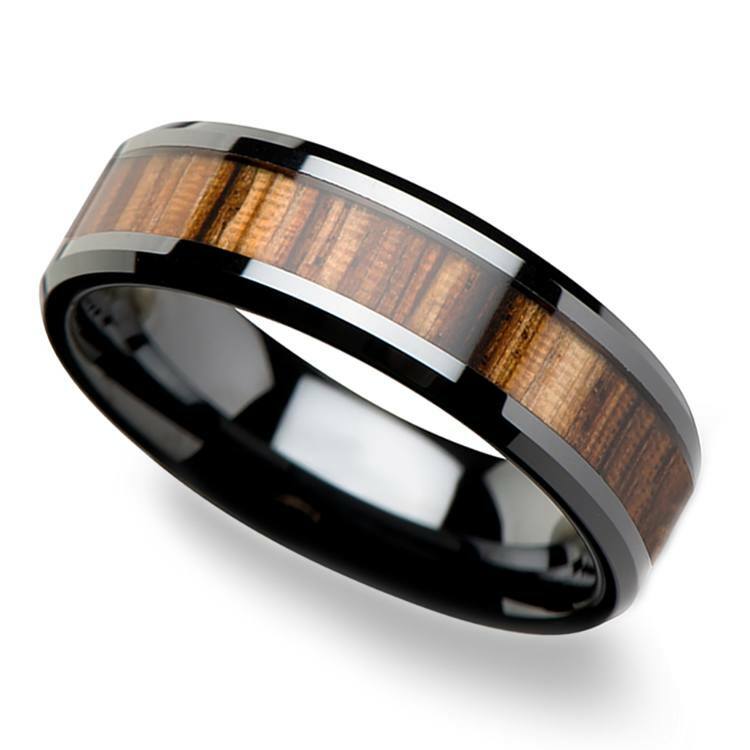 Koa Collection. My fiance' immediately fell in love with this ring. 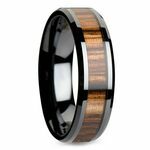 A light weight ring that can be worn with dressy or casual.